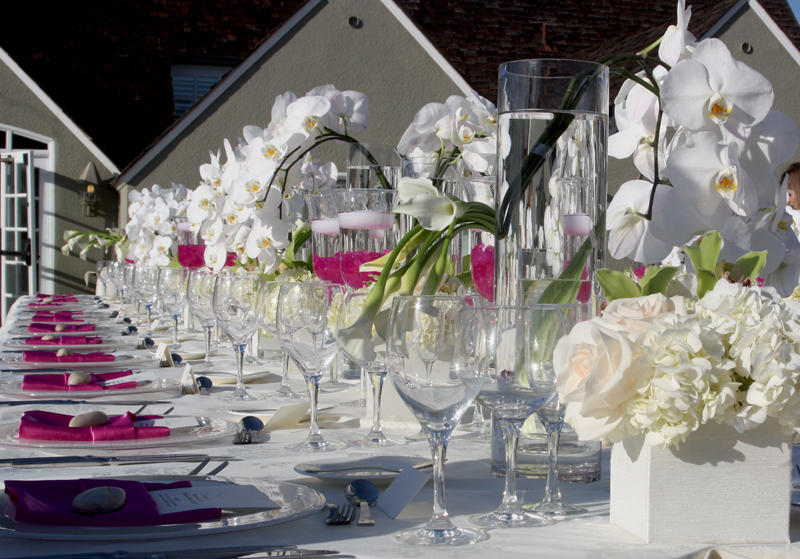 We are gaga over this white orchid tablescape! 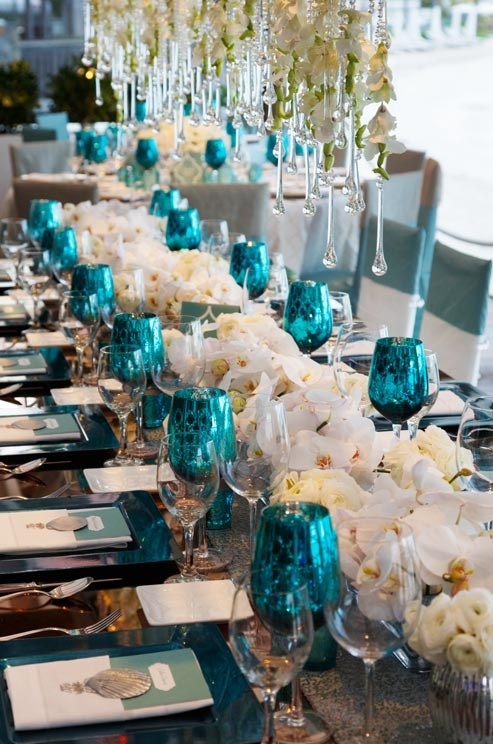 Even though these are low white orchid centerpieces, they sill make a big impression. A lovely table runner of floral is always our favorite. 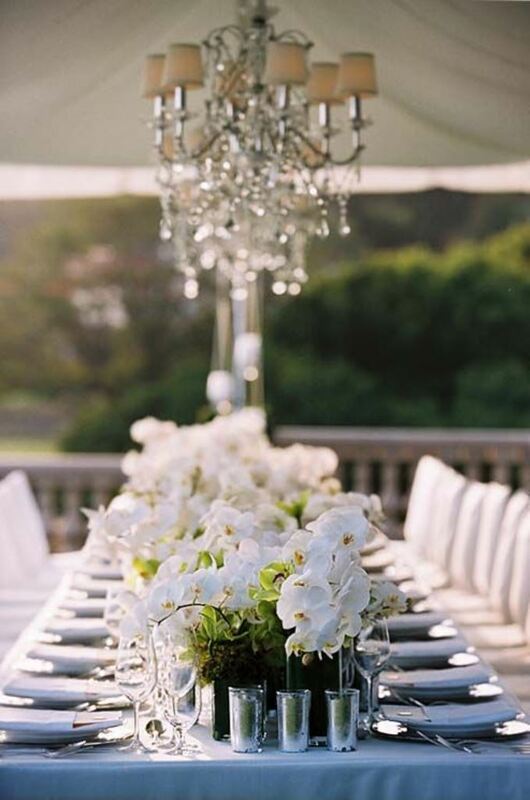 We love all of the greenery mixed in to this white orchid tablescape too. From the huge green leaves to the green cymbidium orchid tucked it, it really does break up the sea of white orchids with some lovely green. The hanging chandelier is just gorgeous too. This is just a lovely look for a wedding.